Amethyst is the birthstone for February. Of course, plenty of you will already know this but how much do you know about the stone itself? Amethyst is part of the quartz family and is the most valued member, it is also the most commonly found gemstone on the Earth. There are many different gemstones that are included in the quartz family including Citrine, Tiger’s Eye and Rose Quartz. 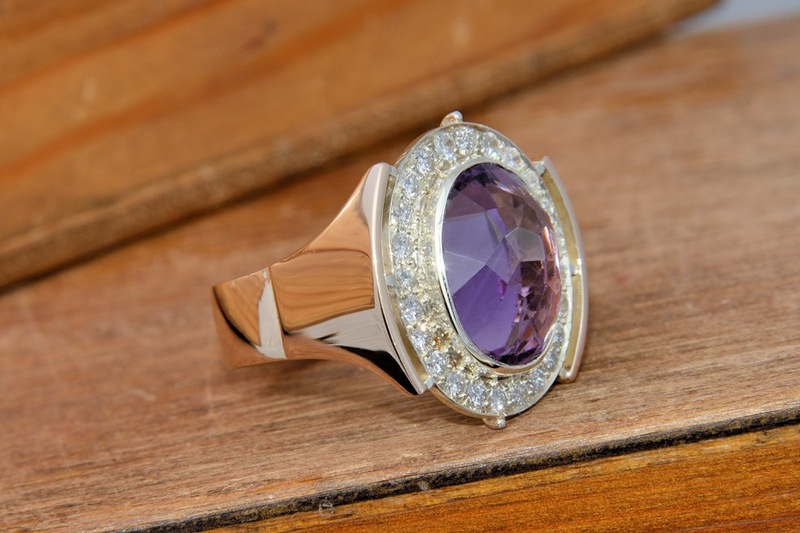 Each come in different colours – Amethyst is purple in colour. The amount of iron that is in the piece of Amethyst will affect how purple the stone is. The more iron there is will mean that the stone will be more purple. However, more and more stones on the market are heat-treated as this creates a deeper colour – this will never fade or lose colour. Amethyst is the most common quartz that can be found, it can be mined and found in a number of countries around the world. Brazil, Uruguay, Sri Lanka, Canada, India, and the United States just to name a few. Most the quartz however is mined in Zambia. Now you know a few more facts about the February birthstone, why not pop in and visit us in store to have something special made including an Amethyst stone? Contact us here.